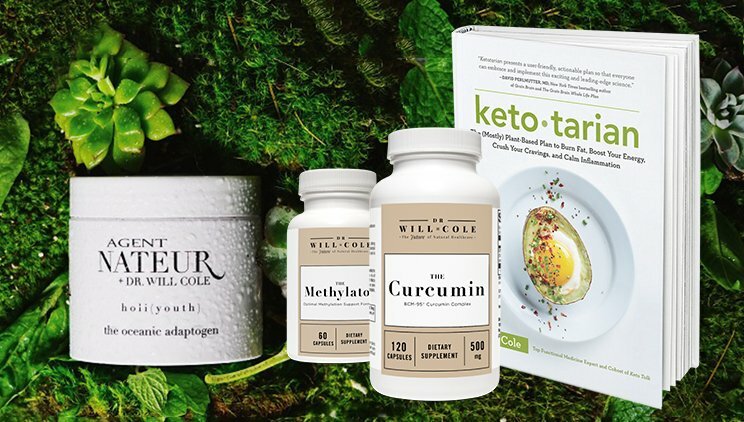 In the world of adaptogens—plant medicines with medicinal properties that restore balance to almost any area of the body—there are a few superstars that boost wellness in multiple ways. As a functional medicine practitioner, it is my job to uncover the contributing factors that underlie people’s health problems, then determine the best way to heal them naturally, and I often recommend adaptogens as a go-to therapeutic tool. There are hundreds of adaptogens, but only a handful that I return to time and time again for their specific capabilities for a variety of ailments. Siberian ginseng, in particular, is one of my favorites. Nature has given us many powerful remedies that have been used for thousands of years (long before pharmaceutical medications were a thing). These herbal medicines often have very little, if any, side effects, but even though studies have shown them to be just as effective as medication—and in some cases even more so—they have largely been eclipsed by manufactured medications. But why take a drug when you could take a natural herbal product that tackles imbalance and restores wellness from all angles? Siberian ginseng (eleutherococcus senticosus), also known as eleuthero, is one of those plant medicines that can do a lot for you on many levels. So, just what is this amazing adaptogen? One thing to know is that it is not actually ginseng. There are 11 species of ginseng, each with their own unique health benefits. All ginseng comes from the Panax genus of the Araliaceae (meaning “all heal” in Greek). Some of the most popular include American ginseng (Panax quinquefolius) and Asian or Korean ginseng (Panax ginseng). However, because Siberian ginseng doesn’t come from the Panax genus, it is not considered “true” ginseng and has very different qualities than the other varieties. Confusing, I know! This is why it’s important to look at the label when you’re buying it. Siberian ginseng is grown in Asia and Russia, and it is particularly high in compounds known as eleutherosides (hence its alias as “eleuthero”). It has been part of these cultures’ medicinal practices for centuries, and for good reason. Siberian Ginseng can do a lot of very good things for you. Research has shown that supplementing with eleuthero can increase immune cell production, specifically the antibody molecules immunoglobulins. It also works to maintain healthy T4 lymphocyte immune cell levels. Eleuthero supports your liver (the body’s primary detox organ) by assisting the processing and removal of toxins. 3. Cancer fighter and preventer. Studies have linked eleuthero to reduced growth of lung, breast, and stomach cancer cells, as well as cancer prevention, due to its ability to stop cells from mutating in the first place. Eleuthero can improve memory in older people, likely due to its choline recycling support and its ability to synthesize acetylcholine in the hippocampus of the brain—both of which help prevent the onset of Alzheimer’s disease. It has also been shown to be neuroprotective against the effects of neurodegenerative disorders like Parkinson’s disease. If diabetes is a problem, eleuthero can come to the rescue. It is next-level when it comes to blood sugar balance and other factors that contribute to diabetes and other metabolic disorders. One study showed that eleutheroside reduced insulin resistance and, in turn, lowered blood glucose levels. Eleuthero also has the power to improve cholesterol and triglycerides, both markers of metabolic disorders. It’s hard to avoid RNA viruses such as respiratory syncytial, human rhinovirus, and the flu virus influenza A as they are all common contributors to everyday illness. However, studies have shown that eleuthero extract inhibits the growth and spread of these viruses—just one more way it supports the immune system. Reduce fatigue and improve sleep quality after exercise with eleuthero—human and animal studies have demonstrated a connection: By increasing oxygen utilization and improving both glycogen metabolism and cardiovascular function, eleuthero supplementation decreased the stress response in male endurance athletes. The beauty of adaptogens is that they are safe for pretty much anyone, BUT since every person’s individual biochemistry is different, it is still important to check with your health practitioner to determine whether this is the best choice for you and your particular system. Siberian ginseng, like all adaptogens, may be more or less effective in certain individuals. However, because eleuthero does increase blood flow, it could potentially interfere with certain medications that also increase blood flow such as anticoagulants. If you are on any medications, talk to your doctor about whether Siberian ginseng is appropriate for you. Incoprorating Siberian ginseng into your wellness routine. Although Siberian ginseng is available as a dried root to make tea, it has a notoriously strong, bitter taste. Most people prefer to take it in supplement form, or as an extract. Just remember: To be sure you are actually getting Siberian ginseng, look for the term “eleuthero” on the label! Buying from a reputable source that sells high-quality organic products will not only give you confidence that what you are buying is true eleuthero, but you’ll be assured of getting the most bioavailable natural source of this herbal medicine. As you get to know more about various adaptogens, I hope you will consider adding more of them into your health routine. They are a great way to work toward optimal health naturally, and the research surrounding them continues to advance. Finally, remember, that what works for one person doesn’t always work for the next, so consult with your practitioner before adding anything new.